It’s happening here in New Mexico. When it does it’s truly an ecstatic time. Nature, after long months of sobriety, of containment and reserve can no longer keep it in. Branches and twigs become tumescent first, swell and finally burst forth their green ejaculate and eventually, seed. All life behaves by such similar patterns, no wonder it’s a time that represents youth, joy, love, blood, awakening and sexual exuberance. The first signs happen when the air temperature raises enough to heat the ground and it brings smells from the earth, from the leaves and humus that has lain, set and decayed, quietly waiting for this time. Whether we are conscious of it or not or whether we are in a place in which this takes place in a way that we can recognize easily, our body responds to the smells and the fumes that envelop us. For those fortunate to be where these natural events happen easily, that is, where an overabundance of concrete or asphalt or harsh structures does not interrupt this awakening, not only does our nose responds but our ears, skin and senses in general, all do exactly as the world around us does. And as always there is a perfect correspondence. All we find outside of us and what happens inside of us, the more we are in tune and aware with genuine Hamd (praise), the more perfect it is the mirror of ourselves. Here in New Mexico it’s all very exposed; lots of natural earth surface to bathe us in fragrance, but even in Los Angeles with most of the ground covered over to accommodate autos, even there, the asphalt sends out it attar, after all, it too was pulled up from the ground, juice, thick and blood like from the earth. And even though it sits in bizarre strips across our landscape like scabs, it too feels the spring. As this happens our body fluids need to change. This is a time that our bodies no longer need the same kind of fluids as in fall and winter. Our oils and other body fluids will flow more easily and thin out, like olive oil that congeals in the fridge and becomes fluid in the warmth. Our ability to manage this change was traditionally looked upon as an indication of our resilience in health and the “colds” and flu’s that come at this time are for many simply the struggle to make the changes and with some minor “colds” only the change of fluids natural to the season. There is also the trickery that challenges our wisdom, especially here in New Mexico yesterday, 78 degrees and maybe more, the motorcycles out cruising, people in shorts and light clothing, windows now open. At last! They think. The challenge is that while it’s spring, it is more of a giving of notice first and the wise will keep warm clothes and not fall prey to a false security and suffer the cold of winter that still remains. 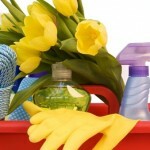 This is time for spring cleaning, more light, more color, more activity, incentive to sweep out the back room, the shed. It’s also a time to do the same for our bodies. One of my wiser friends is already on a spring “cleansing fast” and there many ways to do this. A Chinese practice in the spring I learned from a family I knew was to make, in the spring, greens soup, any three greens in a broth and eat only that for a day, or more. The entire family would take part and it was a yearly thing that also bonded them, even more so if it was difficult at all. They looked forward to it because they knew they would feel well from it. It can be made with any three greens they say and in a chicken or meat broth and with ginger as well but is basically only greens. My friend who is more inclined to strict discipline is making his spring fast ten days! My teacher was inclined to caution against being too tough so as not to cause a negative result. The point is to respond to the spirit of the season, to get everything moving, flowing, not to starve. Although, for so many in this country, unfortunately , there is an enormous amount of toxic materials that have built up from poor food, overeating and complacency, stagnant too long, Still, it’s wise also to be moderate unless, like my friend, you have done it and know how much you can manage. As the season moves further along and fruits begin to come in, it gets better! Hippocrates said fruit was medicine. In the “Mono Fast”, you take only the one fruit as it comes in and only that, for one day, even half a day, or for the ones who are sure they can manage it, one day on one day off for three full days. The fruit needed for the specific cleansing and rejuvenating of different parts comes in one by one by Allah’s design. And you eat a good amount, a bowl at a meal and only that. They must all be grown as soundly as possible, organic as they say and preferably locally grown. From the back yard is ideal of course. First come the cherries, for the blood, then the peaches, yellow ones first and then the fragrant, almost intoxicating white ones, for the liver and digestive tract. Then come the apricots for the lower intestines and bowels. The generosity of Allah’s design here is that these medicines are not only effective, they are delicious! They should be tree ripened. This is an important point in a time where many have never eaten a ripened fruit, the result of supermarkets and a profit oriented big food business as well as a culture that has lost it senses in more way than one. By the way if you should try this greens soup, one day, half day or even three, feel adventurous and want to get optimal benefit, try drinking it from the bowl without a spoon getting in the way. Don’t ask why but it’s a secret that makes it more effective.